Volume 1 - 1st printing. Collects Justice League: Rebirth (2016) and Justice League (2016) #1-11. Written by Bryan Hitch. 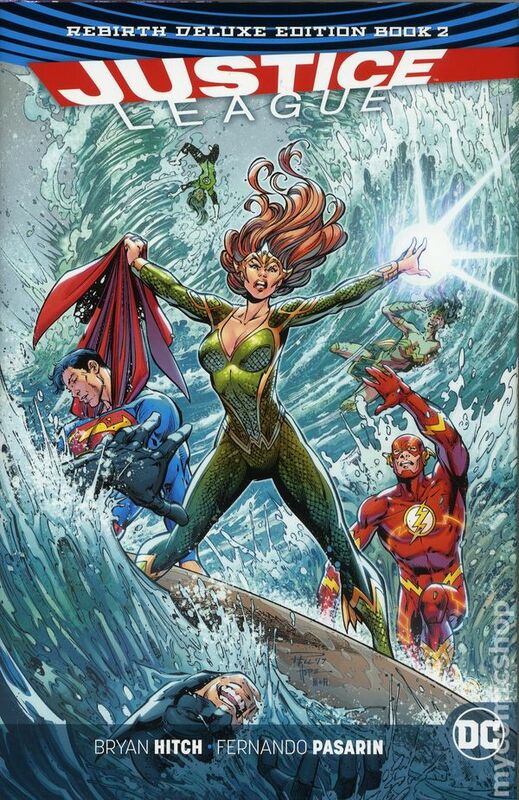 Art by Bryan Hitch, Tony S. Daniel, Sandu Florea, and Jesus Merino. Cover by Tony S. Daniel. 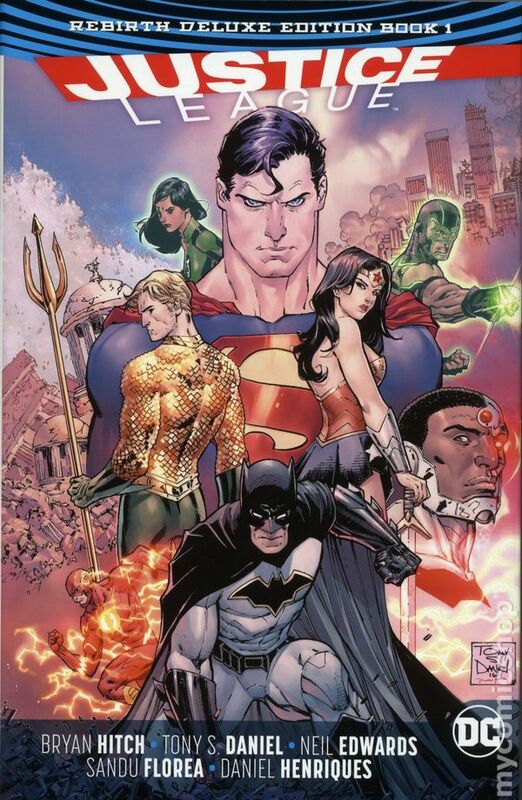 A new day dawns for the Justice League as they welcome a slew of new members into their ranks. But can the world's greatest superheroes trust these new recruits? And will the members of the League be able to come together against an ancient evil that threatens to reclaim not just the world, but the entire universe?! Hardcover, 7 1/2-in. x 11-in., 312 pages, full color. Volume 2 - 1st printing. Collects Justice League (2016) #12-25. Written by Bryan Hitch and Tim Seeley. Art by Christian Duce, Scott Eaton, Wayne Faucher, Daniel Henriques, Fernando Pasarin, Matt Ryan, and Bryan Hitch. Cover by Sandra Hope and Paul Pelletier. An army of aliens known as the Timeless have attacked Earth, sending a wave of destruction through history. 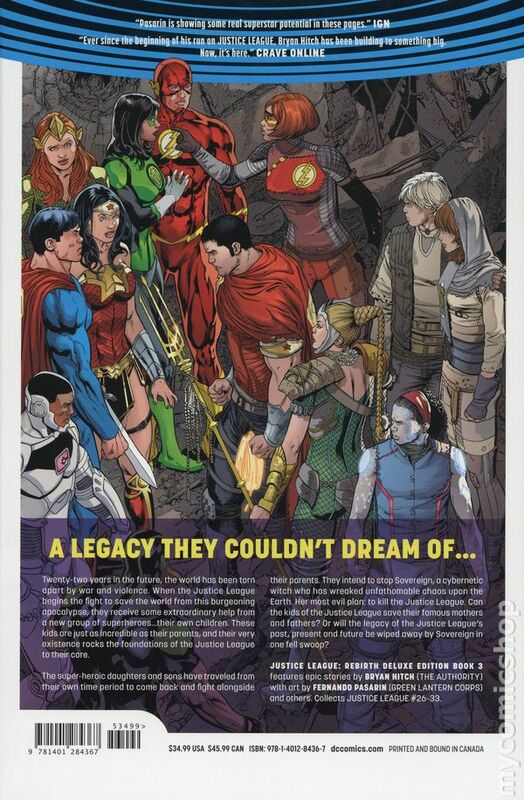 Now, the League has been split up, scattered through time to key moments of power...and if the Timeless succeed, superheroes will never have existed. 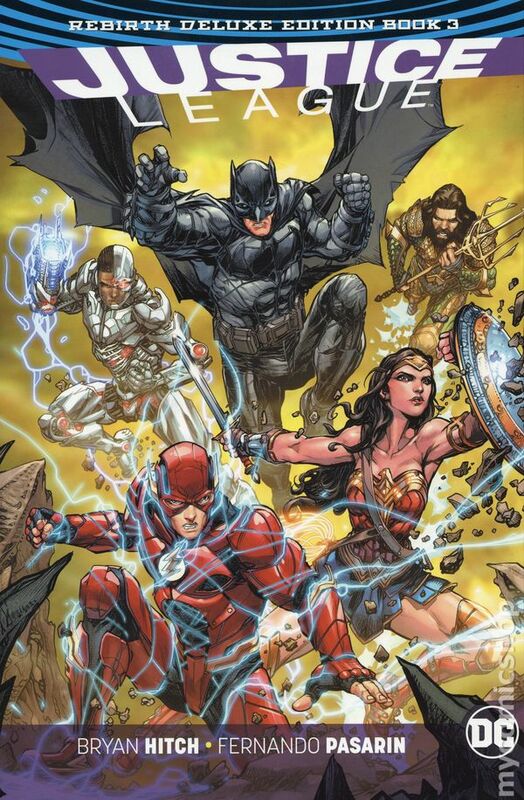 From Wonder Woman at the birth of the Olympian gods to Cyborg in the distant 31st century, each Justice League member is fighting alone against overwhelming odds. Hardcover, 7 1/2-in. x 11-in., 344 pages, full color. Volume 3 - 1st printing. Collects Justice League (2016) #26-33. Written by Bryan Hitch, Robert Venditti and Joshua Williamson. Art by Fernando Pasarin, Oclair Albert, Matt Batt Banning, Andy Owens, Liam Sharp, Tyler Kirkham. Cover by Howard Porter. Twenty-two years in the future, the world has been torn apart by war and violence. When the Justice League begins the fight to save the world, they receive some extraordinary help from a new group of superheroes...their own children. These kids are just as incredible as their parents, and their existence rocks the Justice League to its core. Together, they must stop Sovereign, a cybernetic witch who has wreaked chaos upon the Earth. Can the kids of the Justice League save their famous mothers and fathers? 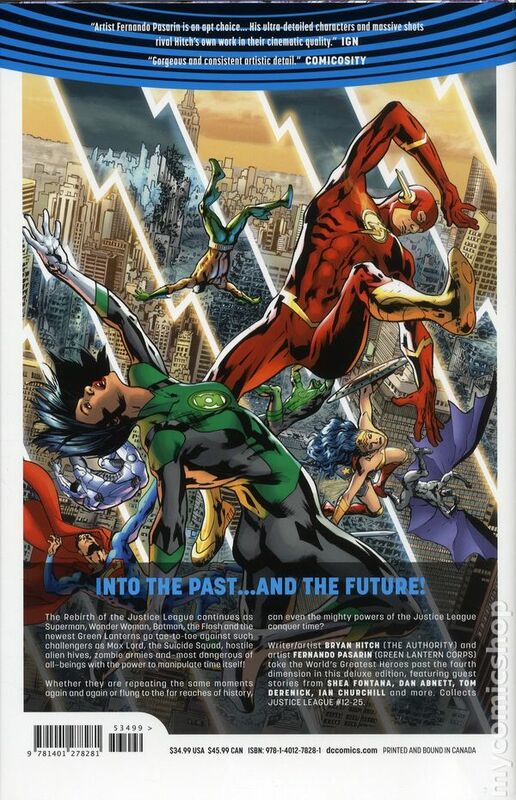 Or will the legacy of the Justice League's past, present and future be wiped away by Sovereign in one fell swoop? Hardcover, 7 1/2-in. x 11-in., 304 pages, full color.